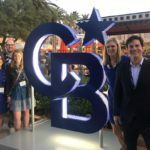 Instead of being tied to one office location, Coldwell Banker Caine associates have full use of flexible office spaces across the community, giving them the freedom they need to excel in the industry while on the go. When you walk into one of our real estate galleries, you’ll immediately know we’re different. Today’s real estate market is always changing, and we strive to better facilitate real estate research and activities as they happen. In 2010, we introduced the concept of real estate galleries. Conveniently situated across the Upstate, our galleries act as all-access hubs where an agent can meet clients to show them a virtual property tour, return phone calls, and host meetings. They also serve as a place for clients to gather inspiration and learn more about the community.